We spend a ton of time outside here in sunny California. As you might already know, at Annmarie Skin Care, we advocate for safe sun care. But sunscreen as we know it has gaps in the protection it provides, which is why we were beyond excited to learn about Sundots. Sundots are the world’s first gummy for sun protection. We all know how harmful sun exposure is to our skin. The bad news? Sunscreen, while an essential part of every sun protection regimen, doesn’t provide the complete protection we need to stay healthy. Sundots help fill the gaps when other products let us down. They’re the missing piece of our sun protection toolkit for skin health… and beauty. 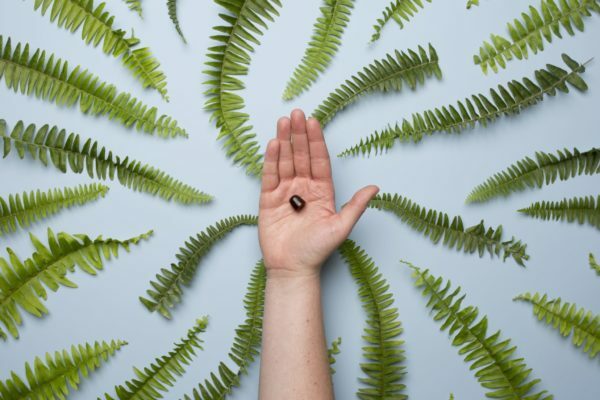 Sundots are based on the active ingredient polypodium leucotomos, a fern extract from Ecuador backed by 30+ years of research for sun protective properties, including blinded human clinical trials done at Harvard. We asked Chief Scientific Officer + Co-Founder, Dr. Emilia Javorsky, MD, MPH, a few questions about Sundots. Can you tell us about your background and your role in Sundots? My background is as a physician-scientist, and prior to medical school I earned a Masters of Public Health. Throughout medical school worked in clinical dermatology research, and then I was a post-doctoral fellow Harvard Medical School where I worked in early stage and translational dermatology research. I am the co-founder and Chief Scientific Officer at Sundots. What was the catalyst for launching this company? Coming from the dermatology research world, I saw that there was an urgent need to develop additional tools in the sun protection toolkit to provide better, more complete, sun protection. Particularly if your goal is skin beauty! According to the WHO, 90% of skin aging is caused by the sun. It’s overwhelming – if you’re going to worry about one thing for your skin, it’s sun protection. After scouring through the medical literature, I was surprised at the amount and quality of data behind polypodium leucotomos, a fern from South and Central America. Studies have consistently shown that when taken orally as a supplement, polypodium leucotomos can help provide protection against the sun. After asking around the dermatology community, I was surprised to learn that many colleagues used polypodium leucotomos as part of their sun protection routine, along with sunscreen and UPF rated clothing. It became part of my personal routine, but I was frustrated to see that the word about this incredible ingredient just wasn’t getting out. 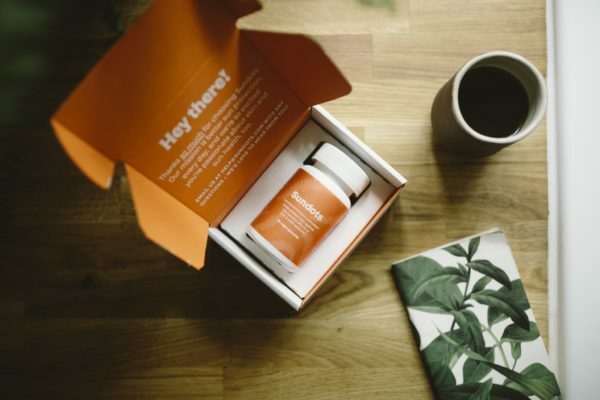 I saw that there was a lot of potential for this extract, but coming from a science background, I didn’t know much about storytelling and creating a consumer product. Then, when I met Sundots co-founder and CEO, Chris Tolles, who had deep expertise in both of those areas and cares deeply about sun protection, together we created Sundots. Why do we need better sunscreen in the first place? There are great “sunscreens” out there, but we should be focused on the broader goal of sun “protection”! Sunscreen is the foundation of sun protection, but it has its limitations- people forget to reapply every two hours, often don’t apply enough, and miss spots. Furthermore, many people see sun protection as a problem for beach days in the summer… however, the majority of sun we get in our lives is on all of those other days of the year! I saw a need to help raise awareness and create daily behaviors around high-quality sun protection that fill in the gaps are compatible and practical with daily life. If we’re going to be safe in the sun for a lifetime, we need sun protection solutions that we’ll really use every single day – that’s why I’m so proud of Sundots. Do you see Sundots as a sunscreen replacement? No. Sundots are not a replacement for sunscreen, but rather a complement to help fill in the gaps. Sundots can help to provide an extra layer of protection and should always be used with sunscreen. Is it a nutritional supplement, sun protection, or both? Sundots are a nutritional supplement that helps to provide protection against the sun. Can you tell us a little more about the ingredients? In terms of ingredients, Sundots contain polypodium leucotomos, the fern extract that helps provide skin with protection against the sun. Sundots also contain 100% the recommended daily value of vitamin D, to help ensure that when protecting yourself from the sun you’re still getting needed vitamin D.
Our vitamin D is vegan, sourced from British lichen. The only flavoring ingredient in Sundots is organic orange oil. The other organically sourced ingredients are there help to make the gummy. What is polypodium leucotomos and where does it come from? Polypodium leucotomos is a fern that is native to Central and South America. 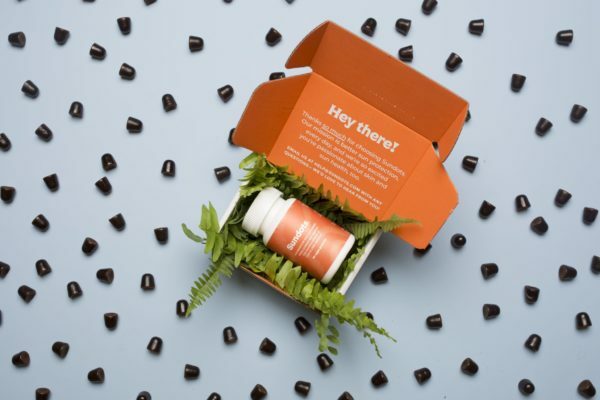 The extract of the fern is what has been studied for its photoprotective properties, and that’s the active ingredient in Sundots. The polypodium leucotomos extract in our product is sourced from Ecuador. Polypodium has been used by traditional cultures in Central and South America for centuries. The first written account of its use is from the Spanish botanist and explorer Hipólito Ruiz in 1788 – and our understanding of this incredible fern has certainly expanded since then! More importantly, modern research studies in human participants have confirmed polypodium’s role in helping our body protect us from the sun while maintaining an exceptional safety profile. Sundots are manufactured in the USA at allergen-free an FDA-registered and -inspected facility. We also disclose 100% of the ingredients in Sundots as well as their sources, because we believe consumers have a right to know what they’re putting in their bodies. Where can our community learn more about the research behind Sundots? There are dozens of high-quality studies on polypodium leucotomos. The best resources are always peer-reviewed academic journals. A list of polypodium leucotomos research articles can be found here. We love Sundots so much, we want to share them with you. We're offering 15% off Sundots with coupon code WEHEART15! Just click here to order yours. Use code WEHEART15 to get 15% off Sundots!